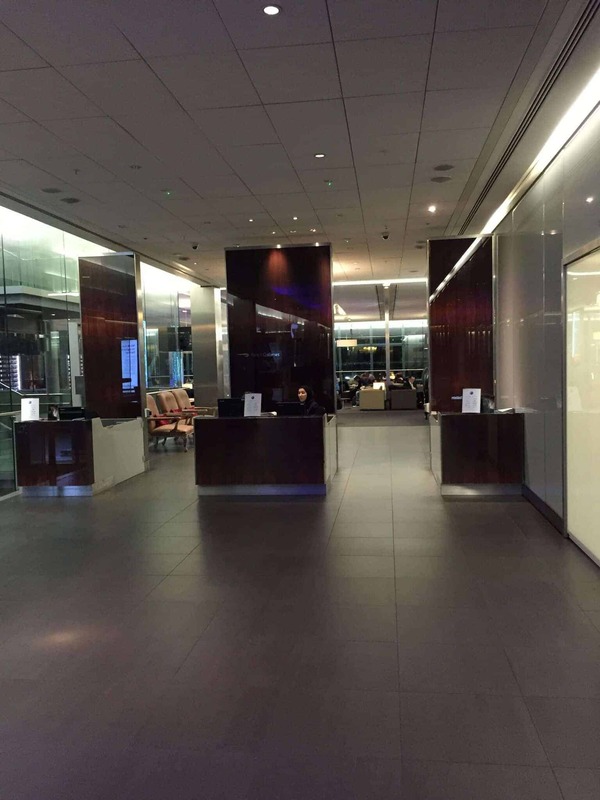 Galleries Lounge North Heathrow T5 – reviewed here. 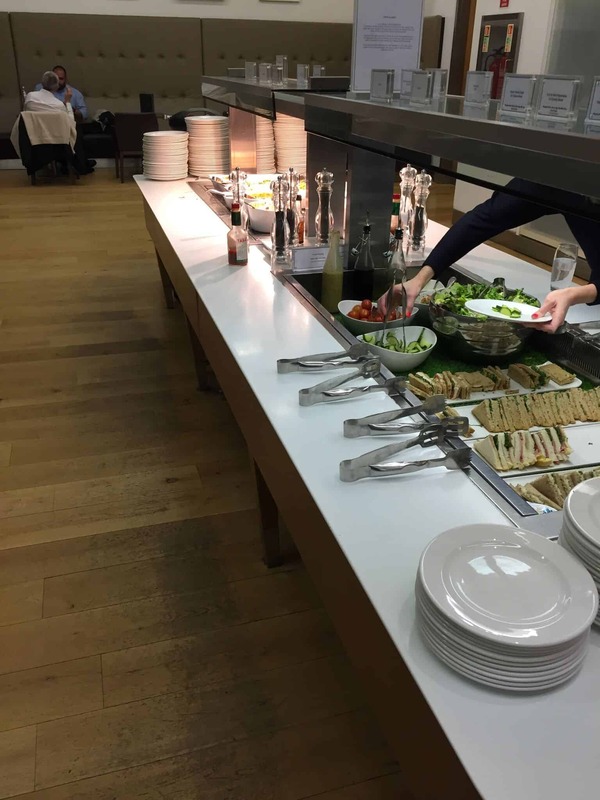 Galleries Lounge South Heathrow T5 – reviewed here. 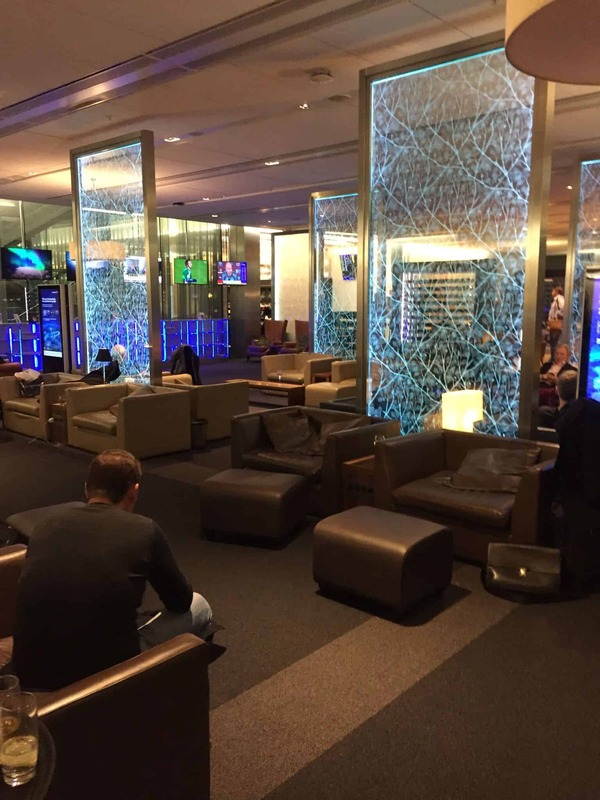 Galleries Lounge Heathrow T5B (satellite terminal) – reviewed here. The Concorde Room – reviewed here. I gained access to the Galleries lounges through a Club Europe flight to Cyprus. Gaining access to the British Airways 1st Class lounge and ultra-exclusive Concorde Room was slightly more difficult, however with some clever use of American Express sign-up bonuses, my partner and I finally flew First Class out of Heathrow Terminal 5 with British Airways. Now the BA First Class lounge Heathrow is not really a lounge used by First Class ticket holders as they tend to make their way over to the Concorde Room. What’s the difference I hear you ask? Well let’s start by taking a look at how to gain access to both British Airways lounges. over the age of 18 years, or if under 18 years you are accompanied by a responsible adult. Whilst it’s relatively difficult for most to become a BA Executive Gold cardholder, for those who regularly travel for business it can be relatively easy. As such, the BA Galleries First lounge tends to be full of Gold cardholders. To gain access to the Concorde lounge you either have to be travelling in First Class, have a Concorde Lounge Card or be invited. Due to the stricter entry requirements to gain access to the Concorde Room it is generally a lot quieter than the BA Heathrow First Class lounge. What else is different? The Concorde Room really is the Rolls Royce of UK lounges. 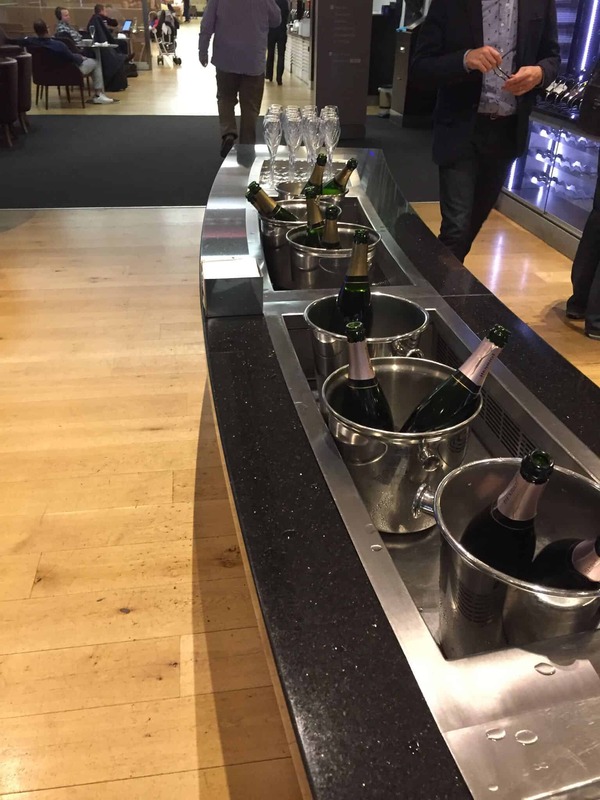 The complimentary Champagne is Laurent-Perrier Grand Siecle which retails at £120 a bottle compared with Henriot in the British Airways Galleries First lounge ,retailing at £38 per bottle (although not to be sniffed at!). There are various other differences from a la carte dining to private cabanas. Take a look at my recent review for a full breakdown of the facilities on offer. If you qualify for access to the T5 First Class lounge, you’ll also gain access to the new First Class wing. Essentially this is a private check in and security area reserved for British Airways’ most important passengers. It’s situated at the far end of the T5 departures terminal – you can’t miss the golden glow! Whenever I’ve made my way through the BA First Class wing there has always been check-in desks available, so there’s no risk of queuing. 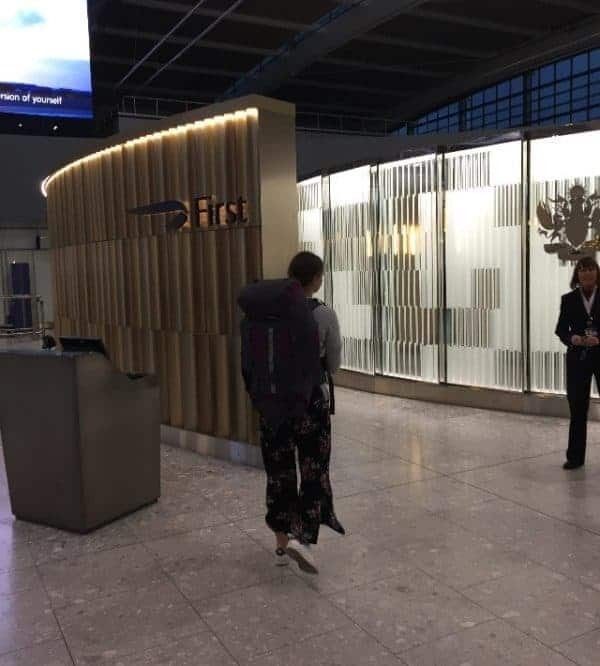 We checked in and made our way through the premium security which delivers you straight into the BA First Class lounge Heathrow. I was amazed at how busy it was at about 6pm on a Friday evening, although this didn’t stop us finding a seat and making the most of the experience. There’s also a second entrance to the First Class lounge for those who may have fancied doing some shopping or have entered through the standard security at the far end of the departures hall. Make your way to the escalators and the entrance to the First Class lounge can be found on your left. The staff at the entrance to the British Airways lounge are always very friendly and will keep you updated as to the status of your flight. There’s also a handy luggage store situated by the entrance. Now if you’re planning on heading to the Elemis Spa, I’d recommend booking as soon as you can. Those travelling in First Class can book 28 days in advance, and you need to as it books up very quickly! I tried to book about 7 days before and they were fully booked. I’ve learned my lesson now! The British Airways Heathrow First Class lounge is vast to say the least. Making your way through the various seating areas you’ll notice various distinct areas. One of my favourite areas is the terrace. It’s light and airy, although Hannah likes to head to the Champagne bar near the business centre. Furniture throughout the lounge is in a reasonable condition, although nothing in comparison to the recently refurbished Concorde lounge. 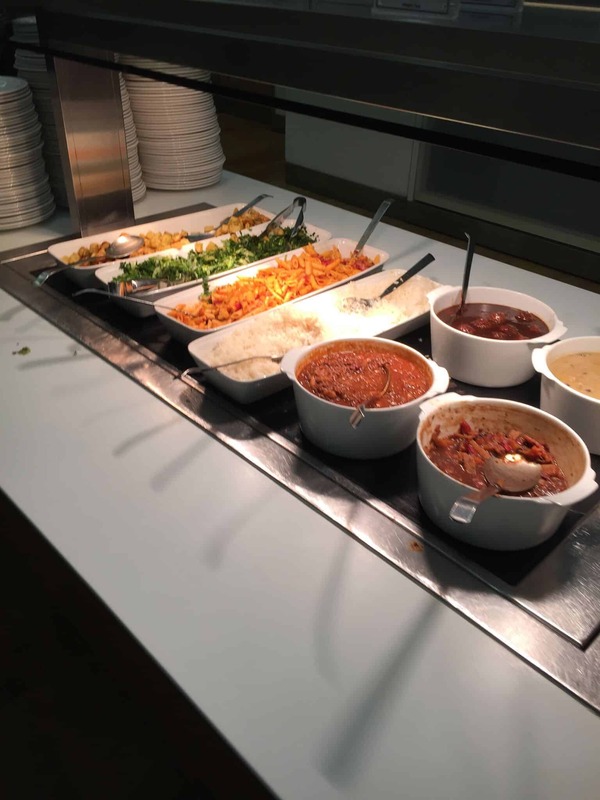 We arrived at the British Airways lounge at about 6pm to find the dinner offering in full flow. There was a buffet serving various main and light meals. If you didn’t fancy what was available on the buffet, you could also order off the menu. Meals include the likes of burgers, club sandwiches and artichoke gnocchi. If you’re in a rush you can always just grab a couple of sandwiches for the road. This differs from the Concorde lounge where there are no real snacks besides those offered at the bar. If you need to work while on your travels there is a well-equipped business centre which includes printers and PCs. There’s also the usual selection of newspapers and magazines. 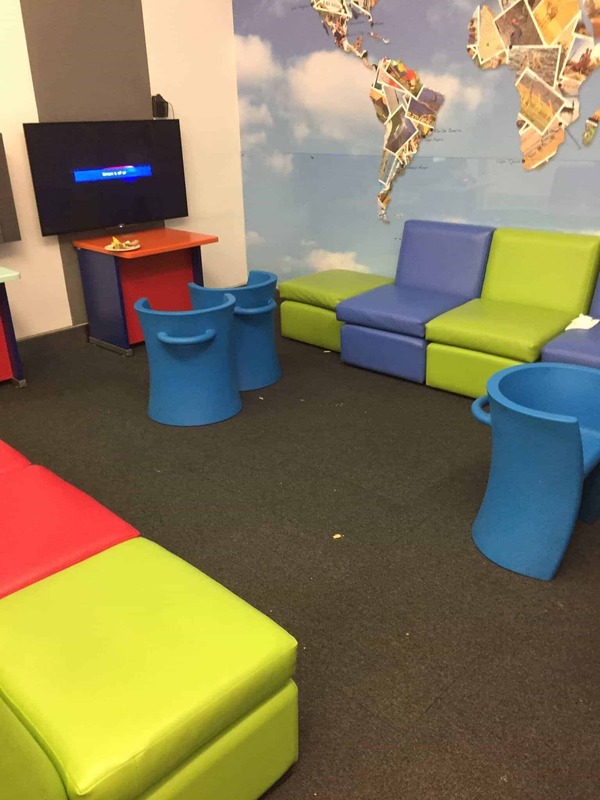 If you’re travelling with a young family you may also find the kids’ area within the British Airways Terminal 5 lounge a godsend! 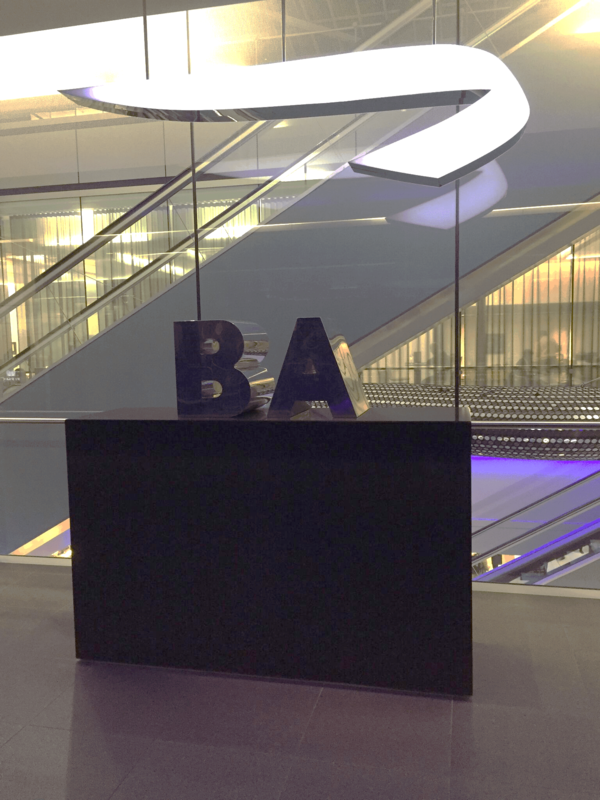 With a slightly confusing name, the British Airways Galleries First lounge is predominantly used by BA Gold cardholders, with most First Class passengers making their way over to the Concorde Room. The difference between the Business and First Class lounges in my eyes is limited in comparison to the huge jump in quality offered at the Concorde Room. If you’re planning on visiting the Elemis Spa during your time in the British Airways First Class lounge, don’t forget that if you have a First Class ticket you can book 28 days in advance. However if you’re travelling in Business you may struggle to get a slot, so check as soon as you arrive. For those who are interested in learning how an average Joe like me managed to gain access to the Concorde lounge and a free First Class ticket to Sao Paulo take a look at my recent First Class flight review. 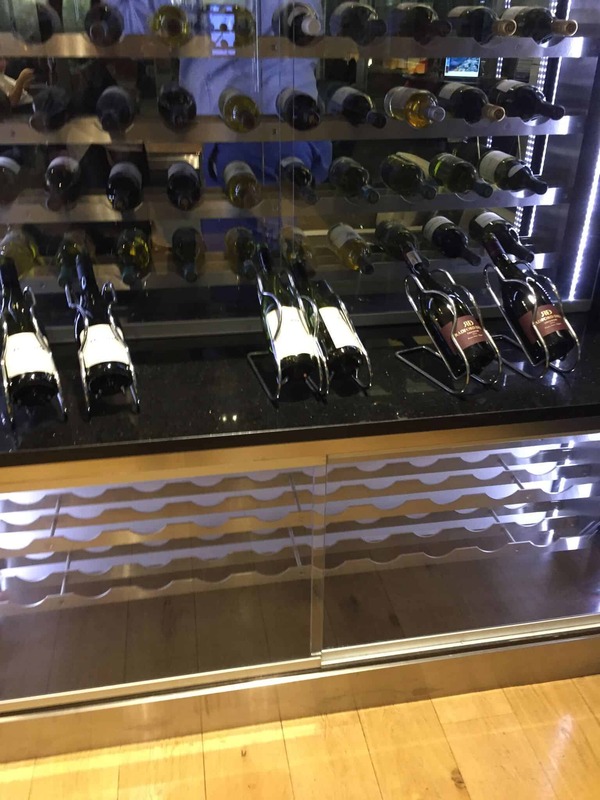 As always, we hope you’ve enjoyed the British Airways First Class lounge review. 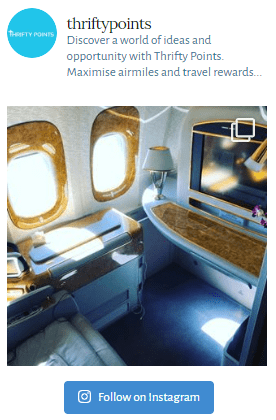 A quick tip, if you are looking to book a Business Class flight then why not take a look at the British Airways sales page here, you never know, you may find a bit of a bargain. One final tip, if you don’t qualify for access to any of the British Airways Terminal 5 lounges you can always sign up to the (free for a year) American Express Gold card which comes with 2 complimentary lounge passes. Take a look at my recent review here. Please do share this British Airways lounge review with anyone who you think may be interested.